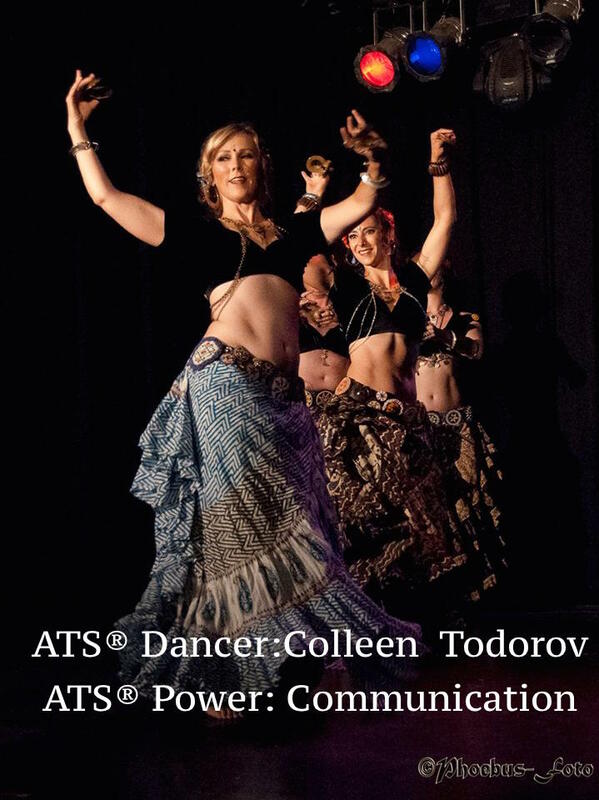 Communication is the backbone of ATS®, the foundation that allows the dancers to convey meaning with gestures and cues. I employ my power of communication when leading dancers, being sure to cue clearly and definitively, being sure to cue/communicate in a timely manner, being sure my communication makes sense in the context used (for example, changes in moves when there are changes or variations in the music). It is important when leading, but communication is a 2 way street and breaks down if I’m not receptive and ready to receive the message being sent. When following, I need to make sure I’m prepared in the formation to see the cues, need to be up to date with rehearsals to know what my lead may be sending my way, need to be familiar with the music so I understand the context that the communication is happening. In ATS®, communication is critical when working with my troupe. I need to provide feedback and encourage discussion of ideas and expectations. Also, I need to be aware of my own limitations and convey them to my troupe members in order for everyone to shine their brightest.